A specialty hospital is a standalone single focus facility (i.e. heart, orthopedic, spine, etc.) that isn’t within the walls of a full-service hospital. 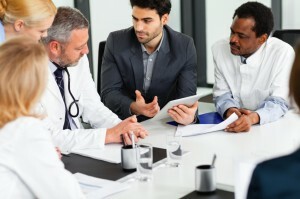 Specialty hospitals typically have some form of physician ownership. Health care reform has heavily impacted physician-owned facilities, preventing any new hospitals with physician ownership from receiving government payments. Ambulatory Alliances is a leader at providing mergers and acquisitions services to physician owners, hospital health systems, equity investor board of directors, court appointed trustees, management teams, landlords, private equity groups, consolidators and creditors. We take a thorough and strategic approach to analyzing the specialty hospital’s business, recommending actions to increase value and then leading the execution of the agreed upon direction. We stay with our clients throughout the transaction process and beyond. Interested in the most advantageous time to sell or other services? We have worked with physician-owned healthcare organizations to maximize fair market valuations, EBITDA and sales price multiples as well as providing solutions for operational issues that affect the business’ value. Advisory services include both sell-side and buy-side mergers & acquisitions, strategic alliances and joint ventures, valuations, workouts and turnarounds, the assessment and evaluation of strategic alternatives, and the raising of equity and debt capital from diverse sources, such as local and commercial banks, finance companies, private investors, hedge funds, private equity and mezzanine/subordinated debt. Our significant transactional experience, well-honed negotiation skills, deep industry and operational knowledge and close relationships with healthcare organizations make partnering with Ambulatory Alliances the best option to create complex hospital deals.